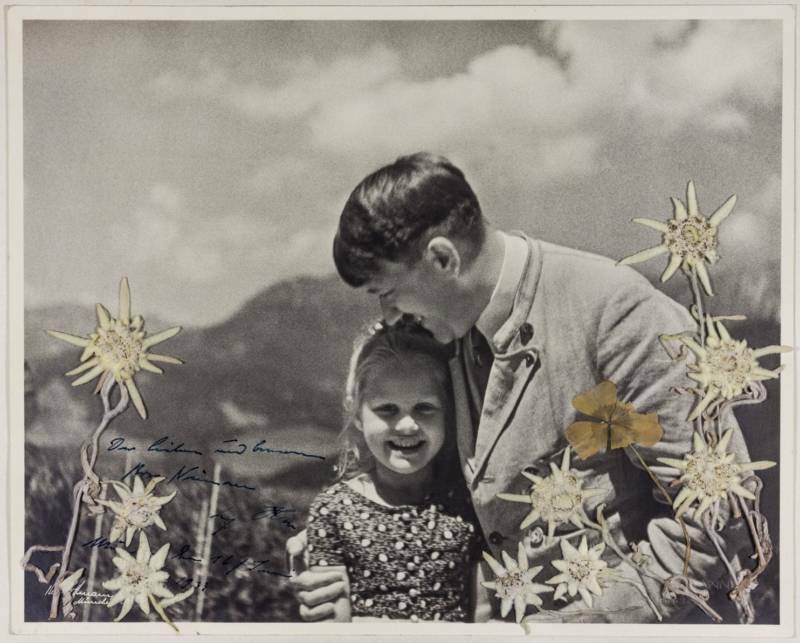 The photograph of Adolf Hitler and Rosa Bernile Nienau at his retreat in 1933, sold by Alexander Historical Auctions in Maryland. The photograph displays Hitler and a young, blonde girl named Rosa Bernile Nienau. Bernile was about six-years-old at the time the picture was taken and she became known as “the Führer’s child.” The child and the dictator shared the same birthday. Although the two shared the same April 20 birthday, their heritages could not be more different, which in the context of Nazi Germany makes this an incredibly astonishing piece of history. 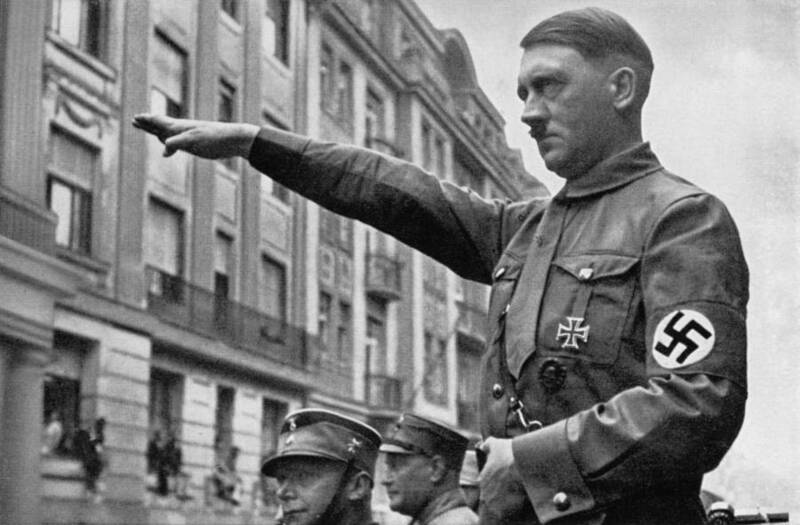 The “Führer’s child” was Jewish — and apparently, Hitler knew. 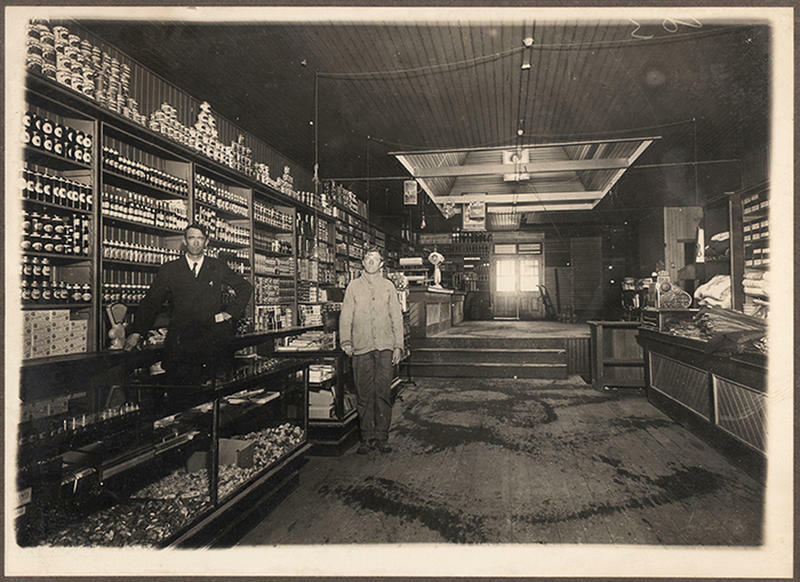 The photograph was auctioned off at the Alexander Historical Auctions auction house in Chesapeake City, Maryland. It is inscribed by Hitler himself in dark blue ink and reads: “The dear and [considerate?] Rosa Nienau Adolf Hitler Munich, the 16th June 1933,” in German. It sold for an astonishing $11,520 — and the auction house’s vice president Andreas Kornfeld understands why. Kornfeld described the photograph as “one of the most unique items I’ve seen in my time with the auction house” due to the nature of Bernile’s Jewish heritage. The image was captured at Hitler’s mountainside Bavarian retreat in 1933. The picture was taken as a propaganda tool. 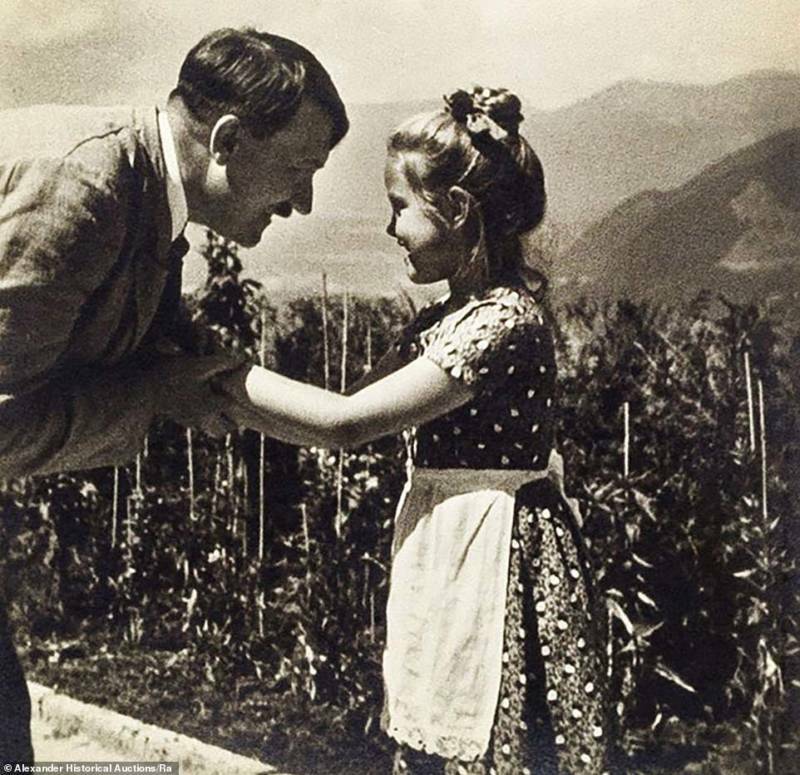 Photographer Heinrich Hoffmann’s images of Hitler were often used to portray the dictator in a positive light as a man who loved children. Bernile and Hitler met after she and her widowed mother traveled from Munich to Hitler’s retreat in 1933, and she was somehow chosen to meet the Führer. The auction house says that she was likely chosen because of the birthday they share. Apparently, the two bonded and got along very well, which is apparent when looking at the recently sold photograph of the two of them. Bernile even reportedly called him “Uncle Hitler.” They met several times after this first meeting and also became pen pals up until 1938. Adolf Hitler in Munich in the spring of 1932. The auction house explains that Bernie was one-quarter Jewish, which under Nazi racial law was considered fully Jewish. Alexander Historical Auctions says that it has reason to believe that Hitler was aware of her Jewish heritage all along, regardless. “Research shows that even early on, Hitler became aware of the girl’s Jewish heritage but chose to ignore it, either for personal or propaganda reasons,” the auction website states. One of Hitler’s henchmen reportedly found out about Bernile’s heritage and banned her and her bother from visiting the retreat. Hitler was not happy about this and continued to keep in touch with his favorite little girl, but was ultimately permanently barred from communicating with her by another high-ranking Nazi official in 1938. Five years later, on Oct. 5, 1943, Bernile died of polio at the age of 17 in a Munich hospital. Kornfeld did not disclose the identity of the buyer, nor the seller that brought the item to the auction house. Kornfeld didn’t even so much as reveal the buyer’s gender out of respect for their privacy. Whomever the buyer may be, they are now in the possession of a truly amazing item: a moment where arguably the most infamous and ruthless dictator in modern history went against his own anti-Semitic regime. The "dark period" this article mentions was caused when various countries like France, Britain and Poland rejected Hitler's many peace proposals both before and during the war. The whole story of National Socialist Germany has been turned on its head. So she died in a Munich hospital and not in one of those horrible gas chambers; just as Elie Weisel was put in the hospital at Auschwitz with his infected leg and not thrown into the gas chamber? You know those NAZI sergeants threw the Jewish babies in the air and shot at them for target practice. It's true, I saw it with my own eyes.